Every new building deserves fresh air. Recent scientific research reveals it’s absolutely vital for our well-being and health. And adequate home ventilation is a legal requirement, too. Part F of the UK Building Regulations dictates new buildings are more airtight than ever which often means there’s far too little airflow. A Mechanical Ventilation with Heat Recovery system is the perfect solution to create a healthy house while minimising emissions. MVHR systems work effectively to exchange stale air for fresh air and recovering valuable heat in the process. We install and commission MVHR systems to your specification. We understand the requirements set out by Building Control with regards to mechanical extract fans and ventilation in new dwellings. We are able to attend site to suit you and undertake testing with our air-flow equipment and provide you with Part F Certification. Ecoflow Ventilation are BPEC accredited to undertake commissioning and measured air-flow rates of installed mechanical extract fans to meet compliance with Building Control. We understand all elements of construction and can provide the Certification required for Building Regulation compliance. The air pressure testing of a building is known as its ‘air permeability’ or leakage rate. Air leakage can occur through gaps, holes and cracks in the fabric of a building which are not always visible. This air leakage affects the building’s performance and is now firmly enshrined in Part L of the Building Regulations (The Conservation of Fuel and Power). We deliver a comprehensive air tightness testing service with no hidden extras. Part G of the Building Regulations states that all new properties must comply with specific water performance targets. This means that all new developments must demonstrate that they have met the current criteria by ensuring that no more than 125 litres of water will be used per person per day. After all, water is a resource that is going to come under increased demand as the population of the UK expands so it must be used sparingly. Some councils may set this target lower to 105 or even 90 litres per person per day. If you’re a builder, self-builder, developer or architect and would like to find out more from a team of respected experts covering all aspects of MVHR, Extract Fan Testing, Air Pressure Testing, SAP Calculations & EPCs and Water Efficiency Calculations anywhere in the UK. please get in touch. Get a free quote for your project. We can help you with a complete end to end solution. 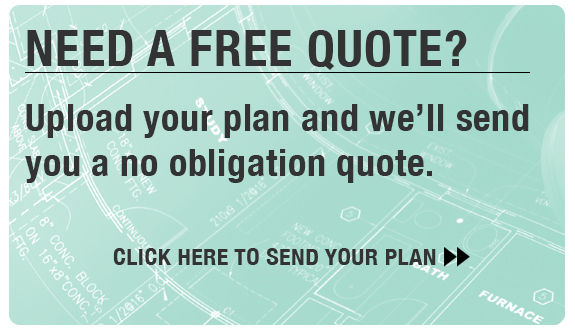 Upload your plan as either a PDF or CAD file, and we will send you a no obligation quote free of charge. This white paper guide for architect’s give you a solid overview of what Mechanical Ventilation Heat Recovery is. 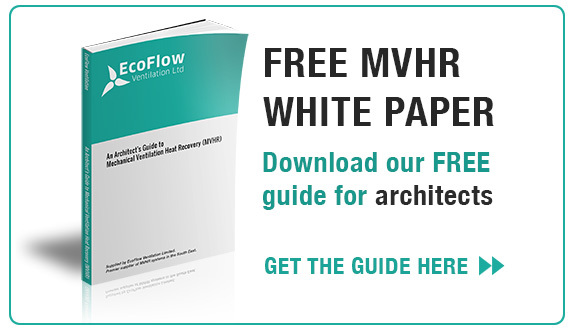 Download the guide to MVHR here. For a free quotation for any of our services. Just upload your plan here.